Butternut Creek Golf Course features rolling valley holes and challenging slopes with mountain views from all 18 holes. Each hole is unique – none remotely similar to another. Golfers ask, “Why haven’t we heard about this gem before?” We invite you to visit us and enjoy all that the we have to offer! Butternut Creek plays to a modest 6,500+ yards, but 4 to 6 tee boxes on every hole give challenging options for every player. Water comes into play on 13 holes. Mounds, undulating greens, and elevation changes are found throughout the course. 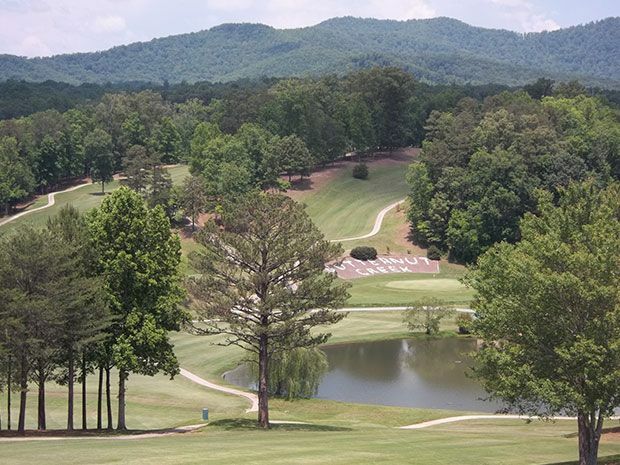 Butternut Creek Golf Course boasts Penncross Bent Grass greens and Tifton 419 Bermuda fairways and tees. The roughs and mounds have common Bermuda and love grass.